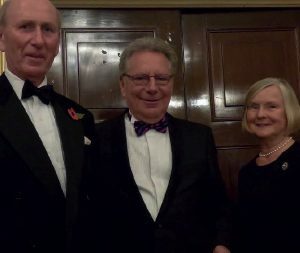 A glittering dinner was held at the Saddlers Hall for the 2016 EHOA Awards in November. Congratulations go to all the winners for some fantastic results this season. Thanks also go to our tremendous sponsors for their continued support for the awards and the dinner. The prize each year is £950 plus a training bursary of £500 to be taken with a trainer of the rider’s choice. Penny Issac won a box at Ascot in the competition kindly sponsored by Weatherbys. Penny, along with 10 friends enjoyed a fabulous days racing and commented “we had an absolutely super day and I still cannot believe that I won a competition – Ascot looked after us so well – just a memorable day for all the best reasons!” It does pay to enter competitions sometimes! hospitality tent at Badminton in 2016. 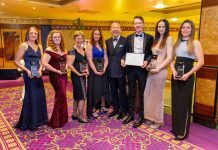 The Annual Awards Dinner wll take place on Thursday November 23rd 2017 at Ascot Racecourse. Details to follow in the Summer. 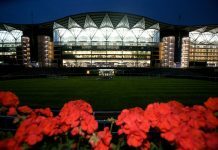 Ascot Racecourse have kindly offered 50 complimentary tickets to our party goers to attend racing at Ascot on Friday November 24th 2017. Details to follow.